Have you ever opened your car door or walked into a room and gotten a big whiff of stale air? Yeah, not so pleasant. Often it’s as simple as opening up some windows and allowing the air to circulate for the staleness to disappear, but it doesn’t always get rid of unpleasant odors. In this case, you’re going to need something a little stronger than just plain oxygen to get the job done. Enter: roomspray! And not just any room spray, but a customizable, DIY, essential oil based room spray for your every day use and private label purposes. The trick to this spray is the addition of Witch Hazel. Why? Because it actually holds onto the essential oils, making it easier to evenly disperse them throughout the product as well as preventing their aromas from escaping. This blend is super easy, super adaptable and super delish. We’ve even heard whispers of people loving it so much that they use it as a body spray too! The following recipe is great as is, but feel free to play around with it and make as many creative adjustments as you like. 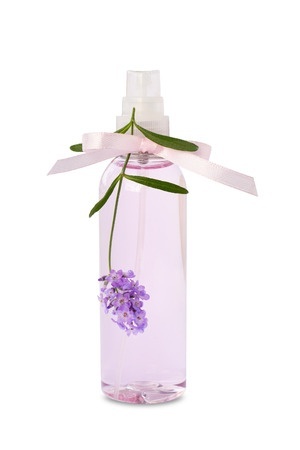 Combine 3-4 parts water to 1 part Witch Hazel in your spray bottle, leaving a half inch or so of room at the top. Begin by adding your Eucalyptus and Lemongrass essential oils. You can start by adding equal amounts and adjusting later to suit your taste. Next, add your Sage and Lemon essential oils, once again in equal amounts but a few drops less than the Eucalyptus and Lemongrass. Lastly, add in your Lavender- about half the amount you used of Sage. Swish/shake your mixture, and take a whiff. If you want your spray to smell more herb-y, add in more Sage and/or Lavender. If it needs to be sweeter, try a few more drops of the Lemon. In most cases you probably will not find you need to add more Eucalyptus or Lemongrass; the other three oils should be perfect for balancing the aroma to suit your taste. Once you are happy with your results, you’re ready to start spraying! Use it every day as a body spray, spritz it on your pillows and bedding, and grace your car with some much needed essential oil refreshment. Enjoy!